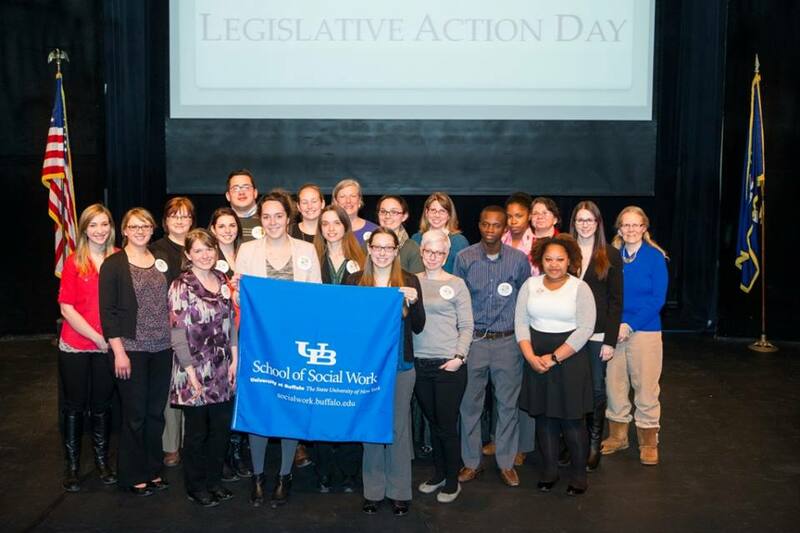 On March 10, 2015, in the early morning hours, 19 intrepid MSW students and I headed for our state capitol in Albany. 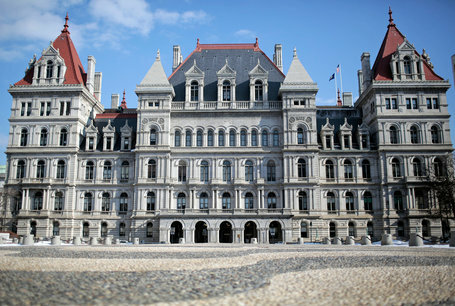 Organized by the New York State Chapter of the National Association of Social Workers (NASW-NYS), we were on a mission to meet with our Senators and Assemblymembers to advance two very important issues. The first task was to urge passage of the NYS Dream Act by the NYS Senate. The Assembly has already approved the bill. 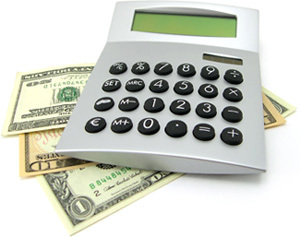 The second item was to obtain increased funding for the New York Licensed Social Worker Loan Forgiveness Program. The funding request is to increase the current $1.2 million allocation to $1.7 million. At the present level of funding, only 32 social workers are able to receive the relief of up to $26,000 in educational loan debt. After a dynamic morning session with tips from Karin Carreau, the Director of Policy for NASW-NYS, and encouraging words from its Executive Director, the NYS Social Work Education Association and the NYS Association of Deans of Schools of Social Work (major funders of this Legislative Action Day), we set off to our two meetings with our home district representatives. While most of the legislators were out of their offices at Assembly or Senate committee meetings, the staff assistants were cordial and receptive – and we know these individuals are important conduits of information and background research for the lawmakers. “It’s difficult to feel you are making a difference; any impact is potentially years in the future. It would have been better to have time to talk in-depth with the legislator or staff person. Thanks to all these future policy-makers and influencers! As a social worker, for what issues have you advocated? Are there other ways to influence policy in addition to addressing legislators? We’d love to hear your thoughts!